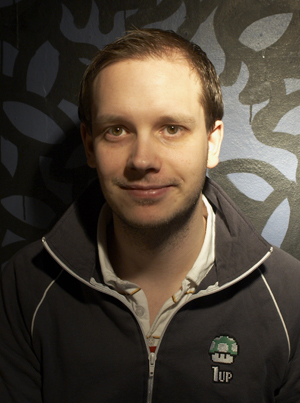 Interview Peter Sunde Kolmisoppi is the most outspoken of the four men who founded BitTorrent tracker site The Pirate Bay in Sweden in 2003. In April last year Sunde, AKA BrokeP, saw a verdict go against him, Carl Lundström, Frederik Neij and Gottfrid Svartholm Warg. They were all found guilty by a Swedish court of being accessories to breaching copyright laws. Immediately after that ruling, the men said they would appeal the judgment. Sunde has been in London this week in his self-appointed role as 'activist', and while here, he caught up with El Reg. Sunde is hoping The Pirate Bay will sink. He claims to have very little involvement with the infamous website these days. Instead Sunde is residing in Berlin beavering away at a new project, while continuing to grumble about the "big, evil" record industry. So is Hans Pandeya's latest bid to buy TPB doomed? I think Hans is sick, actually. He doesn’t seem to be very happy and I’m a bit worried for him to be honest. I feel very sad for him. I’ve met him once or twice, he’s a nice guy. The original idea [to buy the site] wasn’t that bad. He’s a bit like the Monty Python sketch, y’know, the knight who's lost his arms but keeps on going. I think it might be vengeance to try and rebuild his name… He's been talking about arbitration courts and saying that the acquisition is now on hold. It's quite curious that it would be when no one else knew about it in the first place. If he’s not the saviour of TPB, who is? Does there have to be one? I don’t know. I think it would be better if The Pirate Bay died. The thing is is that it has been so big for six or seven years now. It’s unique in the internet’s history when it comes to file sharing and peer-to-peer. So I think it’s time for something else. You have repeatedly claimed not to have any involvement in the site, so how is it continuing to tick over? Nothing has happened to the site in five years. Someone reboots a server when it crashes… The idea was for it to be a central hub and eventually letting it slowly die. The problem is it’s still growing and at the same time everyone who was behind it has left it so it has its own life, it’s become this HAL entity that kinda runs itself. If it dies a bit more than perhaps people will go to the more decentralised systems. The servers were in Sweden but they aren’t now. I'm not aware of the location of any servers. In fact no one from what used to be TPB is aware of where they are. After the raid [in 2006] servers were given to people and they were told to set up a VPN to them, and we said ‘don’t give us the real IP, just give us a tunnelled IP’. So someone knows where one of the web servers is, another person knows where one of the database servers are and they don’t know each other. Sounds like tenuous connections, but who are these mysterious people? It’s been friends and friends of friends and people who actually host it but don't know its Pirate Bay.